SYDNEY (CNS) — In a wide-ranging discussion, members of Australia’s Royal Commission into Institutional Responses to Child Sexual Abuse and experts called to testify discussed how good business practices might or might not make children less vulnerable. 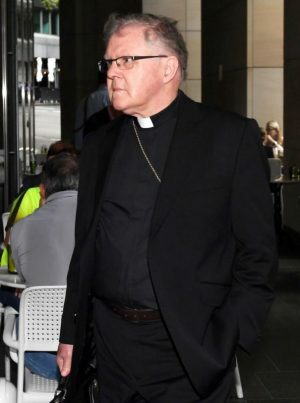 The Royal Commission — instituted by the government in 2013 — is conducting a three-week wrapup of its inquiry into child abuse within the Catholic Church. Unlike past hearings, which focused on specific cases, these hearings were to focus on church theology and doctrine, structure and governance, including the role of the Vatican and canon law, and issues like celibacy, confession and more. She said others in the church should look at the example of groups, such as Catholic hospitals, which have legally incorporated, remaining within the bounds of canon law. She also advocated looking at women’s religious orders, where leadership is based on a rotating basis in line with the order’s constitution. “If they do a good job, that’s good, and if they don’t do a good job, they’re well and truly told,” she said. Cleary and Patrick Parkinson, a law professor at Sydney University, spoke of the need for more involvement by laypeople to help break the institutional church’s system of clericalism, a pyramid structure of authority discussed in previous sessions. “Essential requirements of good governance are usually seen as being … about accountability, transparency, leadership, listening, and (aligning the) culture and the leadership of the church, through accountability and transparency, to its mission,” he said. He told the hearing that the Catholic Church was “a most unusual and mysterious combination of the decentralized and the centralized” when it came to governance. “It is a decision-making body and we are going to have to make — when I say ‘we,’ I mean all of us — big and important decisions about the future and about the kind of thing or the issue that you raise: What are the structures and strategies that we are going to require now and into the future to bring about cultural change? This is where I have to say we do look to the Royal Commission for help” for suggestions of structures and strategies. He added that preparations for the plenary council would be more than “two very clumsy questionnaires,” as were used before the 2014 and 2015 synods of bishops on the family at the Vatican.